Kind-of makes you sic (sick), doesn’t it? Forgetting for a moment the Pope’s sloppy analogy (it must have been a while since the Bishop of Rome has been home, or read the Book of Nehemiah), of all the things over which to question Mr. Trump’s Christianity, immigration was a very poor choice. Unlike abortion, homosexuality, marriage, divorce, financial stewardship, fornication, and forgiveness—all areas where, from a Christian perspective, Mr. Trump’s words and deeds are at best questionable—there is no clear-cut biblical direction on the matter of immigration. Also, can you recall a time when the Supreme Pontiff (at least this Pontiff) was so quick to question the Christianity of a leading American liberal politician? How “Christian” is it to kill children in the womb, promote every kind of sexual deviancy imaginable, promote an enslaving welfare state, or redefine the oldest institution in the history of humanity? When then presidential candidate Obama was using some of the most radical pro-abortion language by any politician in U.S. history, I recall little, if any, protest at all from Vatican officials. Tragically for decades now, much like many liberal denominations across the U.S., the Catholic Church has shown tremendous ignorance and indifference toward sin. Of course, a devout Christian in the White House won’t cure sin in our culture. Nevertheless, history and sound conservative doctrine prove that a strong Christian worldview is the surest means by which to secure and promote liberty, peace, and prosperity in the U.S. and the world over. A nation whose laws and lawmakers will not protect the most innocent and defenseless among us, will not guard the oldest institution in the history of humanity, who protect the pervert and punish the pious, is a nation that will not long endure. 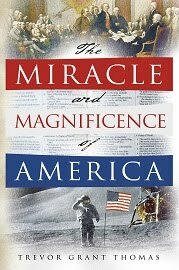 A nation who cannot see the clear eternal truths when it comes to life, marriage, the family, and so on, cannot be trusted to get its immigration policy right, cannot be trusted to get its foreign policy right, cannot be trusted to maintain fiscal discipline, and cannot be trusted with the most powerful military the world has ever known. I sometimes like to refer to myself as a “John Jay conservative.” Jay—a Founding Father, member of both Continental Congresses, one of the authors of the Federalist Papers, and first Chief Justice of the U.S. Supreme Court—stated that, “it is the duty as well as the privilege and interest of our Christian nation to select and prefer Christians as their rulers.” This is why, when going to the ballot box, faith is foremost in my mind. And this is why, in the GOP primary, I will not be voting for Donald Trump.